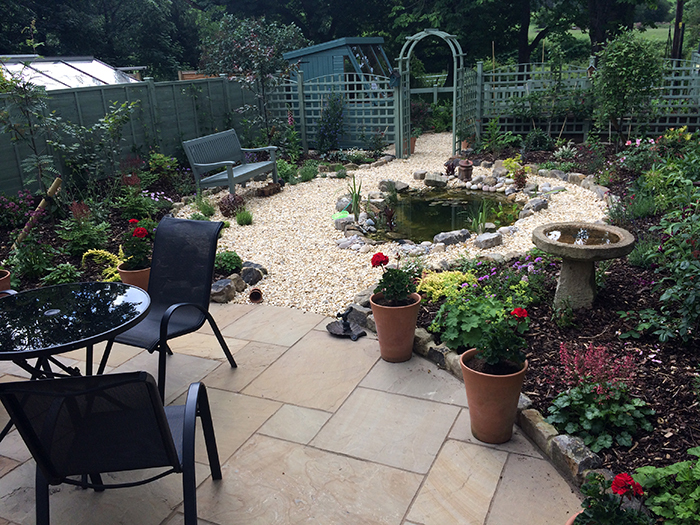 We recently completed a traditional garden in Pool-in-Wharfedale for a great client who left us a lovely testimonial that we thought we’d share on the blog. 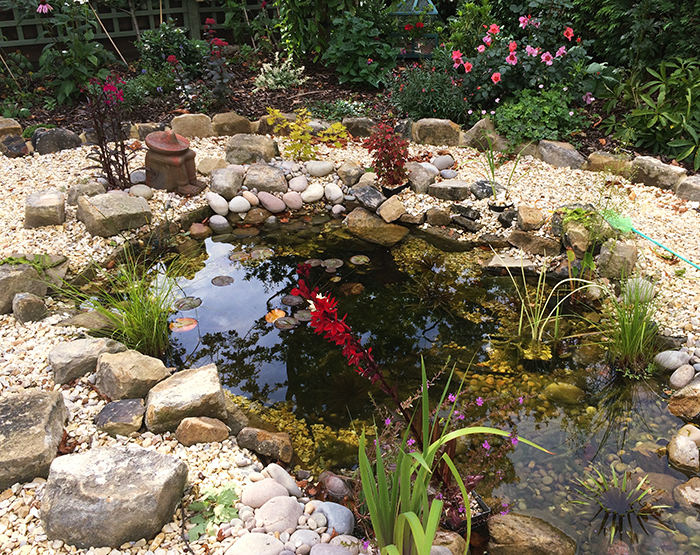 “Hi Johnny – now that we have a summer I must tell you how thrilled I am with the beautiful garden you and Stuart created for me. You all worked so hard on what I came to appreciate was a very difficult site and looking at the before and after pictures, it is barely credible what you have achieved. The terrible weather that you slogged through seems a distant memory, but in spite of rain, sleet and even snow, you kept to the timescales outlined from our early meetings, and on budget! Apart from your professionalism, I most appreciated your advice and guiding hand which steered me into making decisions regarding the flags, edgings etc. I am delighted with them all. Although you were very much in charge, I feel that we worked well as a team. All the planting, bar one plant devoured by pigeons, is flourishing and after only two months, is looking amazingly established. Thank you so much again, and to the ‘boys’ for your hard work and commitment. It made such a difference that you were all so pleasant to have around. 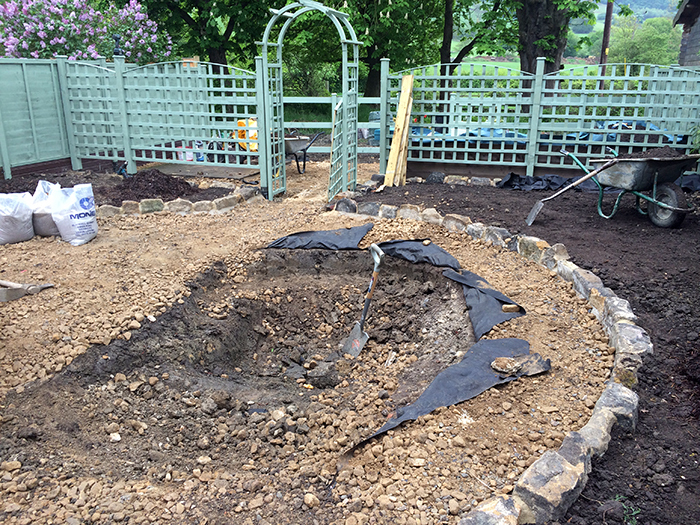 Do pop round at any time to check up on the garden’s progress, I think you would be very pleased, if not surprised. 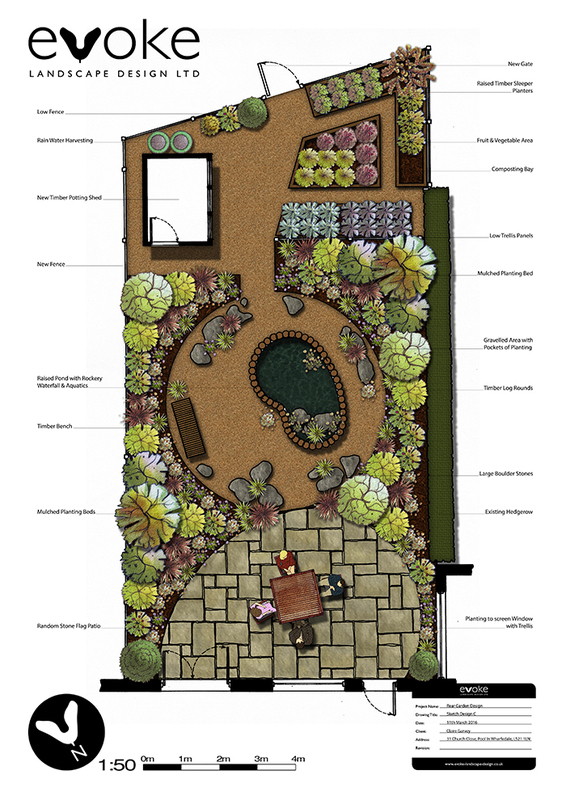 Create a garden that connected with the wider landscape. 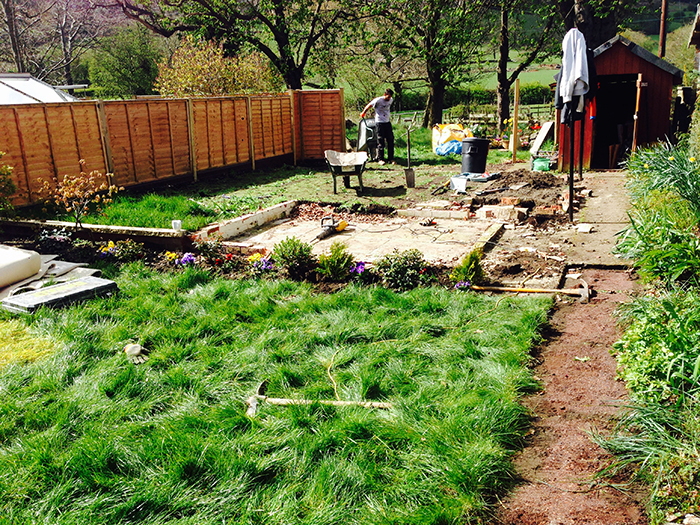 A working area with potting shed for growing fruit and vegetables. 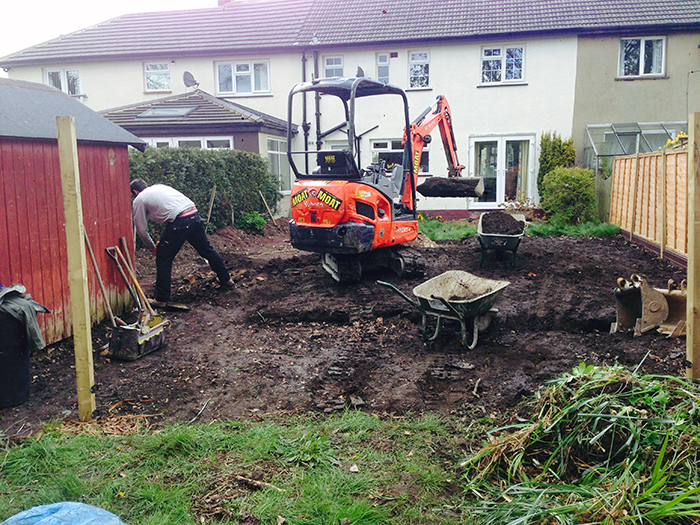 It was important to try and preserve views off site into the wider landscape, so we tried to keep structural elements permeable. 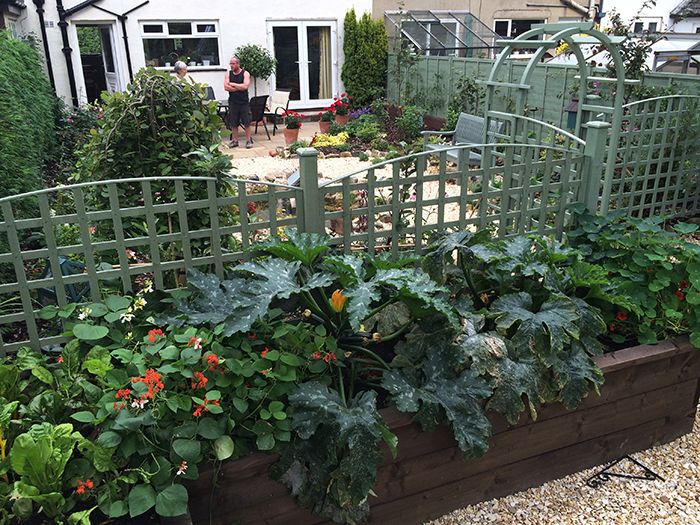 A simple agricultural fence on the rear boundary and open trellis helped to achieve this. 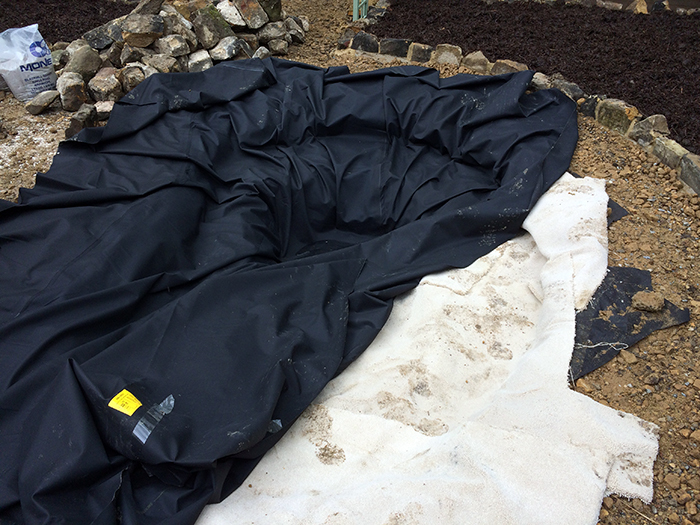 Raised beds in the vegetable plot were constructed using pine railway sleepers, lined with plastic and later stained with a dark oak preservative. 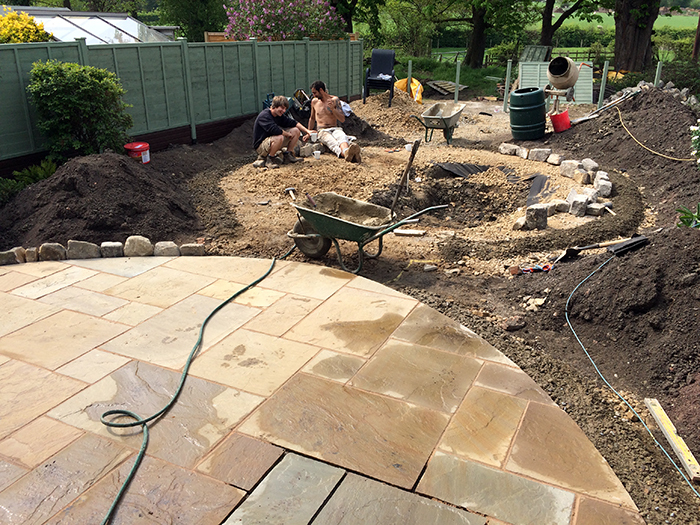 We used an Indian sandstone for the patio with warm tones of buff and brown edged with a Yorkshire stone kerb detail. 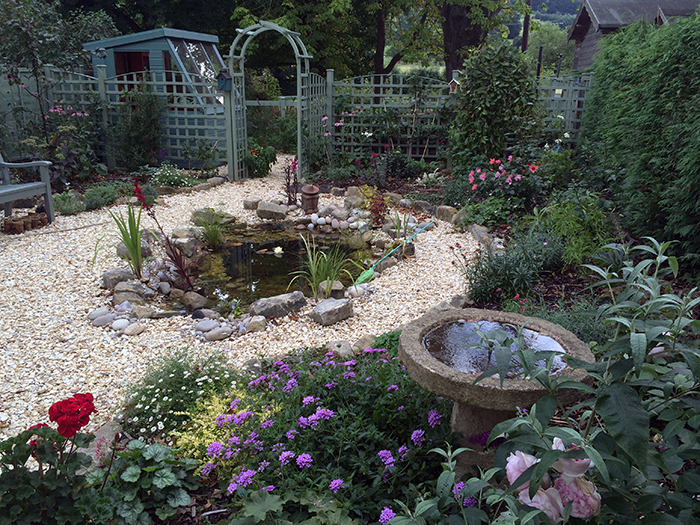 A Yorkshire cream gravel was used throughout the rest of the garden with pockets of planting here and there. 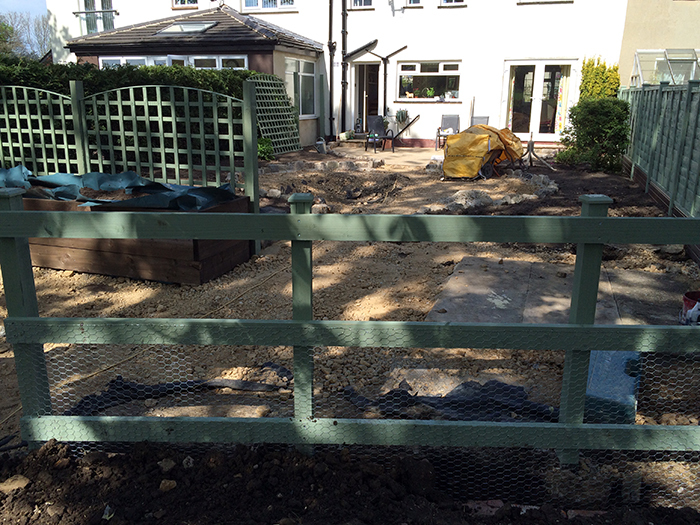 It was a real pleasure to work for Clare and we look forward to seeing the garden mature over the years.